Undescribed species are lurking in the leaf litter. The beetle genus Sonoma is full of them, but you can only tell them apart by their aedeagi (twig and two berries, Wangdoodles, "John Thomas," etc...). The project: Describe new species. Amazingly, many animals can only be told apart by their Tally Whackers. Some species diverge and, although they may look the same, a glance at the Old Chap will tell you they are definitely different. I worked on little beetles in the genus Sonoma. They're fierce predators of springtails and live in leaf litter. There was supposedly only one species in the eastern US, but when I started looking I found a bunch of Wangs, and before the dust settled I had sixteen different Dongs in hand! Getting a look at these Pirates of Men's Pants isn't easy, they're internal, you have to dissect the 2 mm long beetle to get to its ¼ mm long Undercover Brother—not a simple operation to take It Out. Humans are music makers, comedians, singers, and explorers. We explore the Earth, the stars, the atoms, and all forms of life. A species represents a unique twig on the tree of life—the newest member of a chain of ancestors and decedents that stretches back, unbroken, for more than three and a half billion years. To describe a new species is to discover a portion of the universe that no one has ever explored before. Even better are New Mysteries the species create: I have in hand at least 11 species of Sonoma from one mountain in Oregon! How do they coexist? Are they found at different elevations? Active at different times of the year? Live in different levels of the leaf litter? No one knows. There are 27 species of Sonoma already known from the western US and Canada, each with their own "Captain Standish," but new ones have shown up! 1. Describe new species, complete with an illustration of each species' aedeagus (a doodle of it's Doodle), and name the one with the most outlandish Bob-My-Nag after Stephen Colbert! 2. Re-illustrate "Chairman Mao" for all the old western species, that way we have spanking new illustrations of every Sonoma Schmitzengruben (to help with ID). 3. Most of the specimens are 30+ years old, so no DNA! Get fresh specimens for DNA to test if Sonoma is 1 genus or 2 (or 3?!) and help figure out where the weird genus Megarafonus fits. Light photography and hand illustrations will work best to describe these species, so supplies for the actual descriptions will be pretty cheap. The main cost when describing most species is TIME, but I'll donate that. The most expensive goal is number 3: collecting new material with intact DNA. I can collect eastern Sonoma locally (South Carolina), but western Sonoma and fresh specimens of the genus Megarafonus require a collecting trip through California, Oregon, and Washington. Some species are only known from one specimen, or multiple specimens from only a single location, so specific sites would be visited to maximize results. In an extreme case, one species, Sonoma grandiceps, was last collected in the 1890's. Rediscovering the population, if it still exists, may be difficult. I am excited to endorse Dr. Michael Ferro's project to conduct an expedition to the West Coast of North America to document and discover previously unknown species in the genus Sonoma (Staphylindae: Pselaphinae). 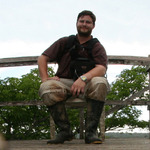 Mike is one of the most gifted combined fieldworker/morphology based taxonomists in North America. 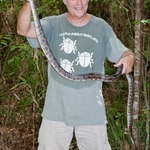 He is world leader on species level taxonomy of the subfamily Pselaphinae, second largest subfamily of the largest family of animals on Earth. I am a strong supporter of Mikes quirky and occasionally provocative way of presenting the morphological differences that we rely on in this group to establish species boundaries. Donators to this project can be assured of its success and importance to documenting biological diversity in this ecologically important group of beetles. I grew up playing in the mud and collecting bugs on a little farm in Missouri. To date I've been involved with 20 referred publications, described 17 new species (Staphylinidae: Sonoma and Batrisodes), published on almost 60,000 specimens, and got to do some nice traveling (although never enough!). Visit spongymesophyll.com for publications and more info about me. Feel free to email me at spongymesophyll@gmail.com if you have any questions. 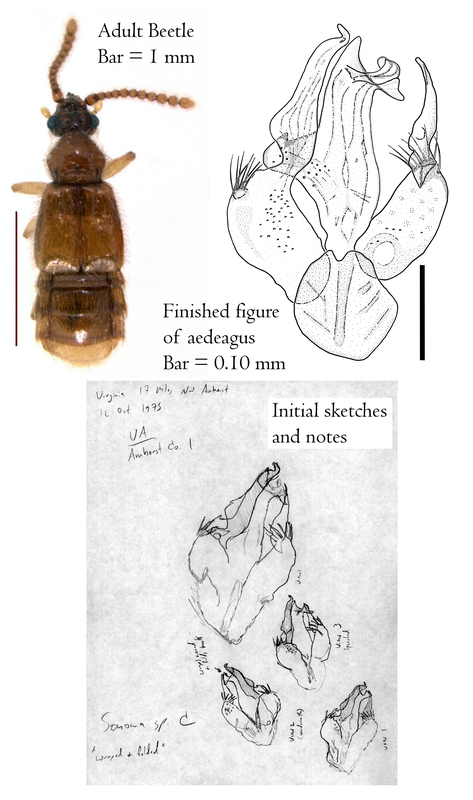 The Process: Dissect a specimen, if it's an undescribed species make a sketch of the aedeagus by hand and take notes, then later, based on the notes and the specimen, create a final drawing. The whole process takes 6–8 hours. Here is an example of a species I described in 2010, Sonoma streptophorophallus Ferro and Carlton.